Are Horses Really Made for Riding? 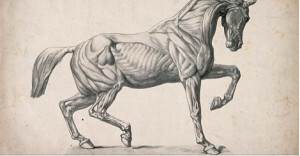 Each time I have taken the Whole Horse Dissection course taught by Ivana Ruddock there is an in depth and very emotional discussion about why horses were not made for riding. But rather than coming away distraught by the concept of curtailing this lifelong passion of mine, I instead vow to be the most educated and lightest rider that I can be and to be a steward to the horse by sharing what I have learned with every horse owner and rider that I know. While it is clear to me that they were not placed on this earth for our benefit, I do believe that we can provide great lives for our horses by riding with awareness and intelligence and by truly riding for the horse’s health and longevity. A trainer that I worked with years ago told me “to put brains in my fingertips”. I have never forgotten that statement and now through the education that I am pursuing as it relates to my efficacy as an Equine Bodyworker and a rider I have added to it to put brains in every part of my body as I ride my wonderful horse. Good riding as we know is an art, it is a lifelong journey to be the best that WE can be for our equine partners. I am honored and very thankful to have even taken a few steps on this path. “The longtime rider in me says yes. After all, horses look like they are absolutely made for it; not too big and not too small; strong, agile with enough space on their back to carry a human, as they have done for centuries. “And still, I ride. I’m not ignoring all these anatomical facts I mentioned above. Not at all. I am very aware of it every time I get on my horse. I try to take these facts into consideration during and after riding to minimize any potential damage.